Reliance Realty has been assisting home buyers with their real estate needs since 1987 by offering a full range of real estate services including comprehensive listing services. In addition, we also provide our customers with a list of seasoned and experienced mortgage lenders, each with well-over 30 years of experience which provide buyers with the lowest mortgage rates and terms possible. Our seasoned and experienced loan officers and mortgage bankers provide our customers with a variety of loan options from low-down mortgages for first time buyers from the Virginia Housing Development Authority (VHDA); conventional fixed rate mortgages requiring just 5% down; “zero down” VA mortgages for active and inactive military, and FHA mortgages as well. Although we’re seeing that many buyers are now choosing to use a conventional mortgage requiring just 5% down, primarily because FHA insurance premiums have increased, low down payment options from VHDA are still a favorite among buyers as well because it allows buyers to keep their hard earned money in the bank. 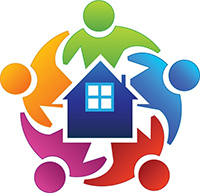 We are experienced in being able to assist our buyers with every type of home on the market today including short sales, bank owned, new construction, regular re-sales, and HUD owned homes (HUD, FHA & VA homes often provide buyers with special incentives that are only available to buyers, and not investors, within the first 30 days of the property hitting the market). The Virginia Housing Development Authority provides first time home buyers with affordable solutions to buying a home with very little out-of-pocket money, using the VHDA FHA-Plus mortgage. The VHDA FHA-Plus mortgage creates a small 15 year second mortgage that becomes your down payment, so this mortgage product is perfect for buyers with a small savings account as it can allow a buyer to purchase a home with just $500 down, and many of our previous VHDA buyers only brought anywhere from $0 to $250 to the closing table! The VHDA FHA-Plus mortgage truly allows buyers with a 620 credit score to move into a home for a lot less than it costs to rent! Conventional Mortgage with Just 5% Down! There’s some fantastic new mortgages available to well-qualified buyers with at least a 680 credit score, that allows buyers to purchase a home with 5% down and their monthly mortgage payment will be less than if they used an FHA insured mortgage product. Although the interest rate is slightly higher, the conventional mortgage doesn’t have the monthly mortgage insurance payment that FHA loans have, so the monthly payment actually is less! For additional information about anything related to residential real estate, contact Frank Biganski at (757) 303-0517 or visit our preferred lenders page and contact any of our loan officers to discuss your loan options,at not cost or obligation.